Today we are going to make a corsage to wear for St. Patrick's day. I'm sending one to school for Izzy's teacher. Gather up your supplies... I had some ribbon from last year, some shamrock wire garland, some florist wire and some fake carnations. Trim off the stems and wire the pieces together. Add some ribbon to the stems, and a pin through the back. I made a little card to send with the corsage for Isabelle's teacher. It is 3 hearts and some green baker's twine. Simple and cute. All packaged up and ready to be sent to school. 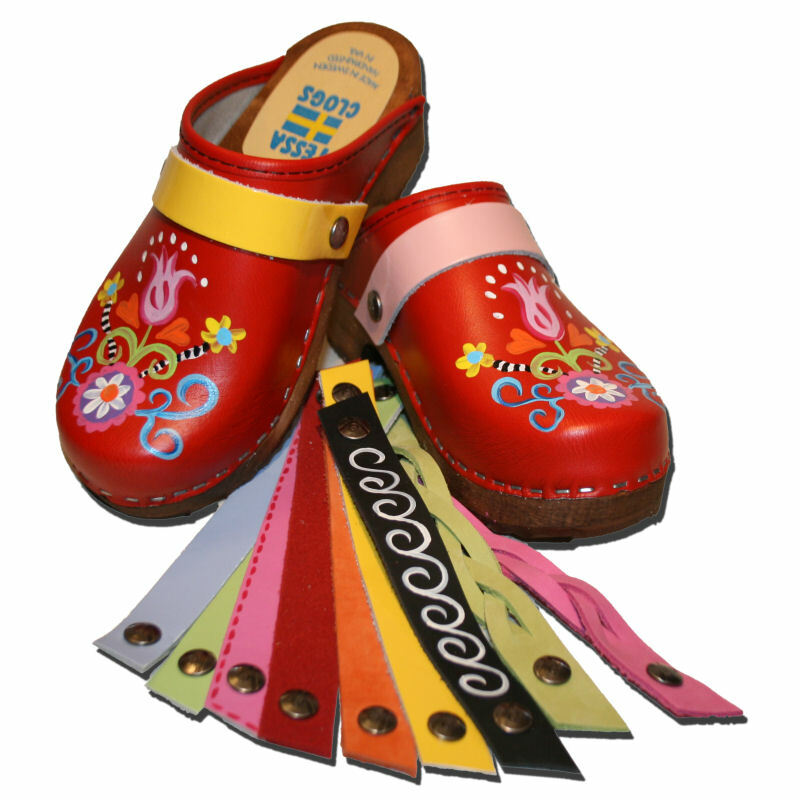 Don't forget to leave me a comment to win the cute Tessa clogs... I will be announcing the winner here tomorrow! It might be your lucky day! What a sweet corsage and card for the teach. I know she will love! Also, where did you get that cute St patty's clown? Love it! You keep teasing us with these fabulous clogs! Talk about show stopping cuteness!!! Love the clogs. Your St. Pat ideas are great. Love the card and so easy to make. Thanks for sharing. Enjoy your blog. Oh my! You are such an inspiration...I just want to hug you!! Looking back over the week, I am excited to make the shamrock plate for my neighbor! She is Irish & St. Patricks day is her favorite holiday! And Molly & I are going to make the lemon-lime cake tomorrow!! She is so excited that Mason & Sofia's auntie gave us a new sweet treat recipe! NUMMY!! Those clogs would sure be fun! Love them! !